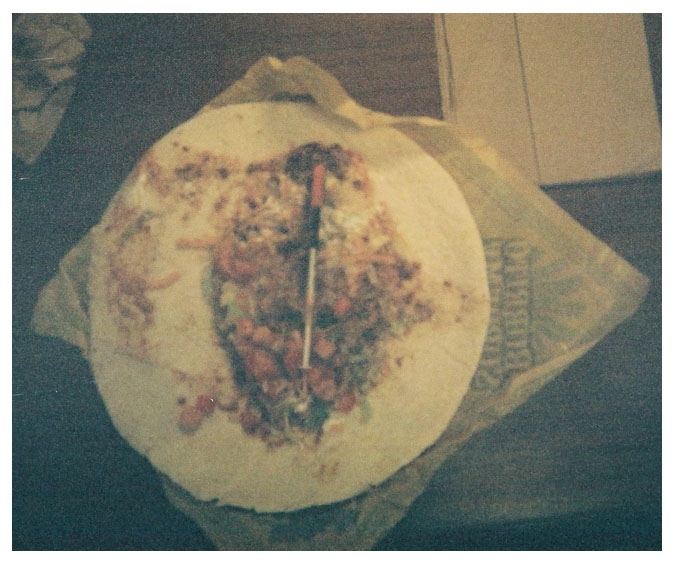 OCTOBER 13--A New Mexico woman was arrested last week after she allegedly hid a hypodermic needle filled with heroin inside a Taco Bell burrito and tried to deliver the contraband to a friend held in a city jail. 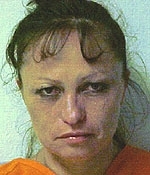 Rosemary Gonzales, 42, was nabbed last Friday after a jail guard at the Espanola lockup discovered the hypo hidden amongst the contents of a Burrito Supreme (friends are allowed to bring food to inmates at the small jail). 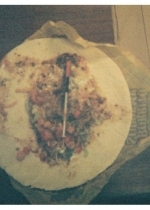 As seen in an evidence photo, the works were nestled inside a flour tortilla along with beans, rice, lettuce, tomatoes, onions, sour cream, cheddar cheese, and a tangy red sauce. 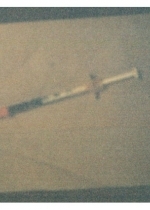 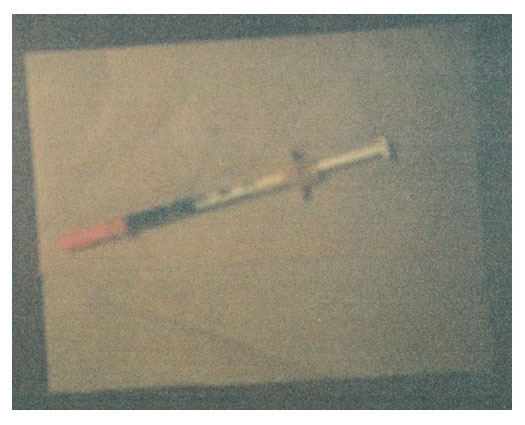 A second police photo shows a close-up of the confiscated needle.